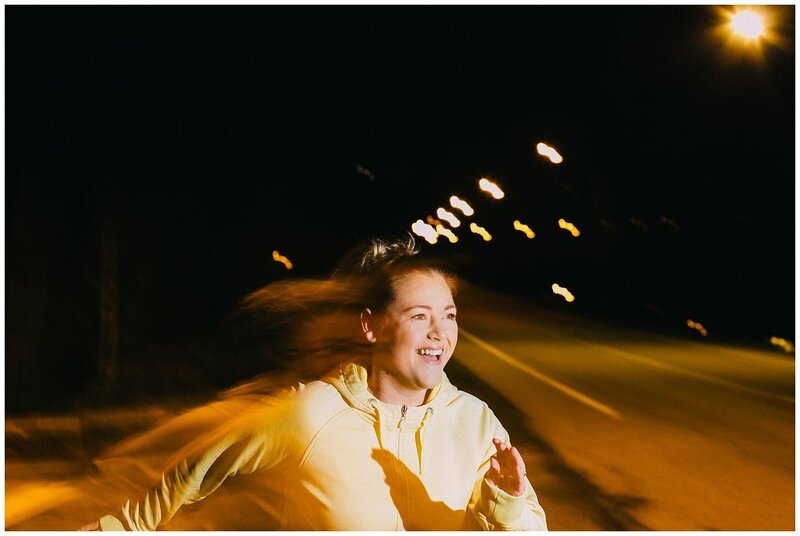 MARCH | The 24 Hour Portrait Project | Chilliwack, B.C. With the June project coming up at the end of this month, I thought it was a fitting time to unveil all the images from our March project! I thought about this project while I was working on my thesis - I wanted to get out from behind my computer and my piles of papers and research, and connect with our amazing community. There's something magical about making art with other people - and the project was exhausting, challenging, fun, amazing, - I don't think I can properly explain how much fun it was, but meeting everyone along the way kept us going. I tried to include a varied amount of locations, but for this first go, I tried to plan the shoots in clumps of similar locations, before moving around town too much. BUT we also realized that some of the gaps that I included in our schedule to give us breaks, grab something to eat, or potentially nap, were the WORST. We've remedied that in our June shoot - we'll be moving across town more between shoots, and including more live updates behind the scenes - so interviews, tours, check ins, - things to keep us engaged and awake. You can follow along with us all day on Instagram and Facebook. We're still figuring out the final format for presenting all the images together. I would love to present it all in a gallery space, or a book (or both!) Originally, I planned on sending out all the final images straight after, edited via mobile - but I wasn't happy with the mobile images looked outside of Instagram, and I found myself loving different images when I finally pulled them off my camera - so I took my sweet time with culling, and a re-edit. SO, thank you to everyone who has patiently been waiting for me to edit and unveil this final set! You may notice one image missing from this series. We had one image taken in front of something that couldn't be shared - so we had to take that down. Working on the background in Photoshop, it just didn't look right and lost it's authenticity. SO, we'll be attempting to reshoot that image during this next round, too - it only feels right to shoot in during the same project! Without further ado, here are the portraits from last March's project! THANK YOU ALL SO MUCH, for following along, supporting, and participating in this project. I can't wait to shoot the next one with all of you! 7 a.m. - at a beautiful farm with Brenna, her husband, some friendly cows, and a very, very good dog, Greendale. 8 a.m.: Visiting Nina at Luna Float, and hanging out with the massive collection of salt lamps, Garrison Crossing. 9 a.m.: Bringing some coffee to my landscaper husband, Jamie, at Valley Outdoors, Downtown Chilliwack. 11 a.m.: Meeting up with Vanessa from Wild Empress. We were originally planning to shoot her at a thrift store, but this giant hedge of forsythia needed to be photographed, Luckakuck Way. 12 noon: Hanging out in Veggie Mandy's rad apartment, with her vegan donuts. You guys can find her at the Eco Market and online - we got to take those donuts with us and they were amazing!, Sardis. 1 p.m.: Kelsey hanging out at Harvest Cafe. It was a day full of donuts you guys, Mill Street. 2 p.m.: Callie hanging out with some plants at Minter Country Gardens, Fairfield Island. 3 p.m.: Shelley and Madeline at the park, Downtown Chilliwack. 4 p.m.: Matthew A. Hawkins, creative behind Around Town in Chilliwack, hanging with the Millennium Falcon and Han, Downtown Chilliwack. 5 p.m.: Deanne and this amazing pink wall, Downtown Chilliwack. 6 p.m.: Callum, with Gus and Bogey, and his dad photographing us in the background, Downtown Chilliwack. 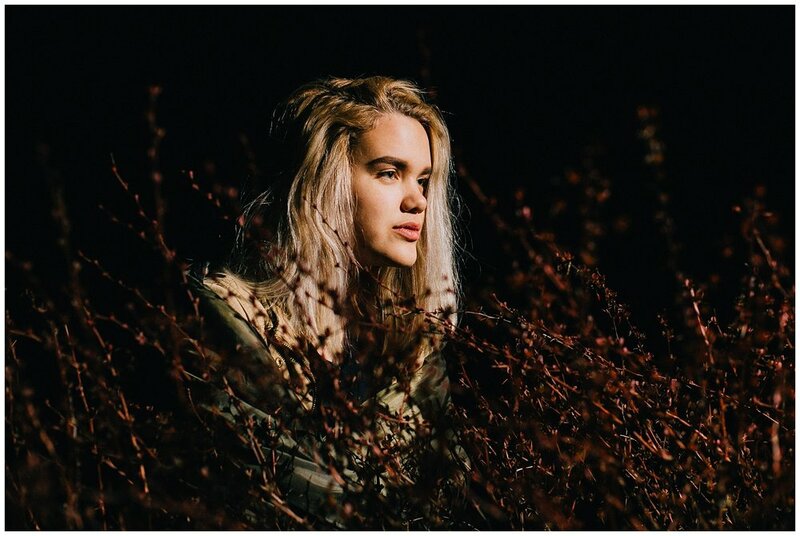 7 p.m.: Hanging out with Hannah, from Hannah Wyles Photography, and a little bit of Prince's Purple Rain, Downtown Chilliwack. 8 p.m.: Nicole from Details by Nicole Danielle, and a really prickly holly bush in Education Park, UFV. 9 p.m.: Nicole and Justine from Locally Obsessed, a local subscription box company, Garrison Area. 10 p.m.: Sheena from Work It Out Fitness, running at the base of Promontory. This shot was SO COLD to get, and we took it a bunch of times to get it right. I'd love to try more of this in June! Promontory, at Prest. 11 p.m.: Georgia, at the hospital. Downtown Chilliwack. 12 midnight: Joanne from Umbrella Tree, in Rosedale. 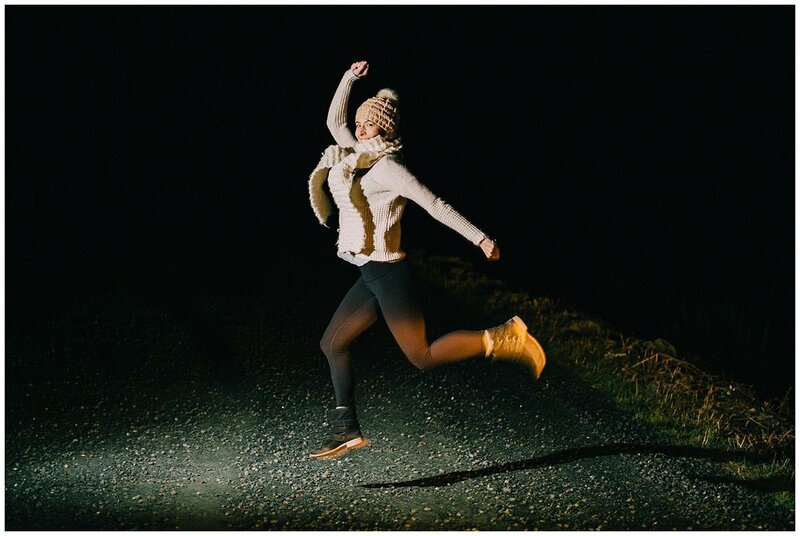 1 a.m.: Christie from Christie Lucia Yoga, on the dirt road out to Island 22. 2 a.m.: Amber Wilber, The Woods in Garrison Crossing. 3 a.m.: April, Miss Georgia Peach, by a hedge in Sardis. 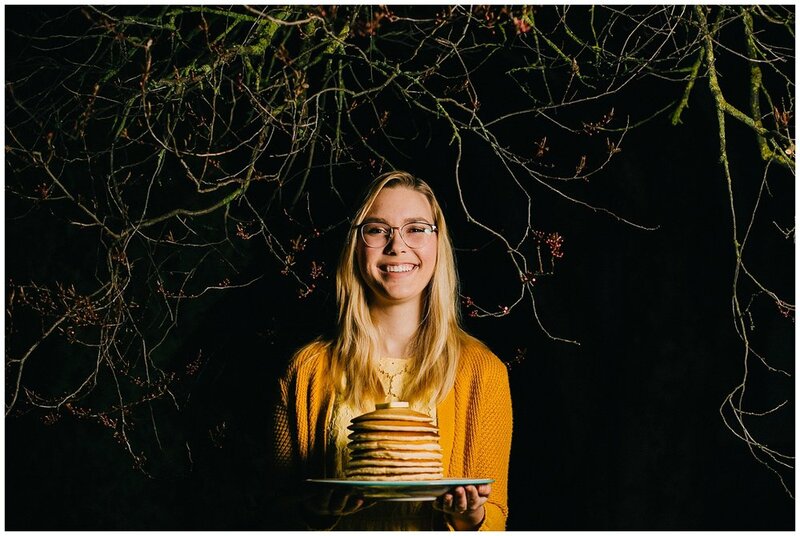 4 a.m.: Kate, with a stack of pancakes. Sardis. 5 a.m.: Jenn, Liam, and Derek, Sardis Park. 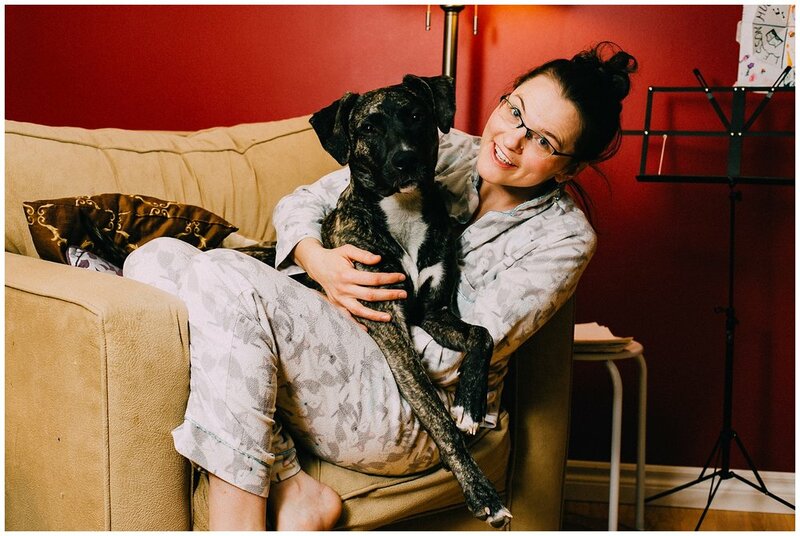 6 a.m.: Krystal and her pup, Sardis. 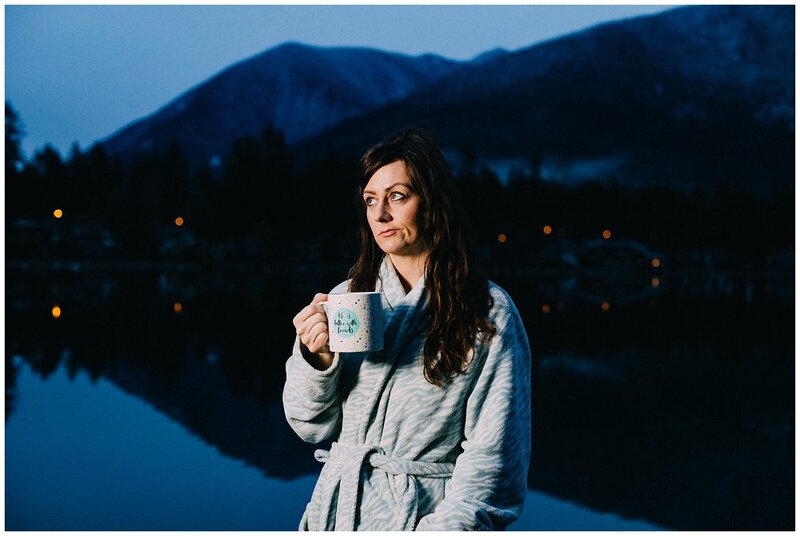 7 a.m.: Coralee, feelin' those morning feels, in Cultus Lake.